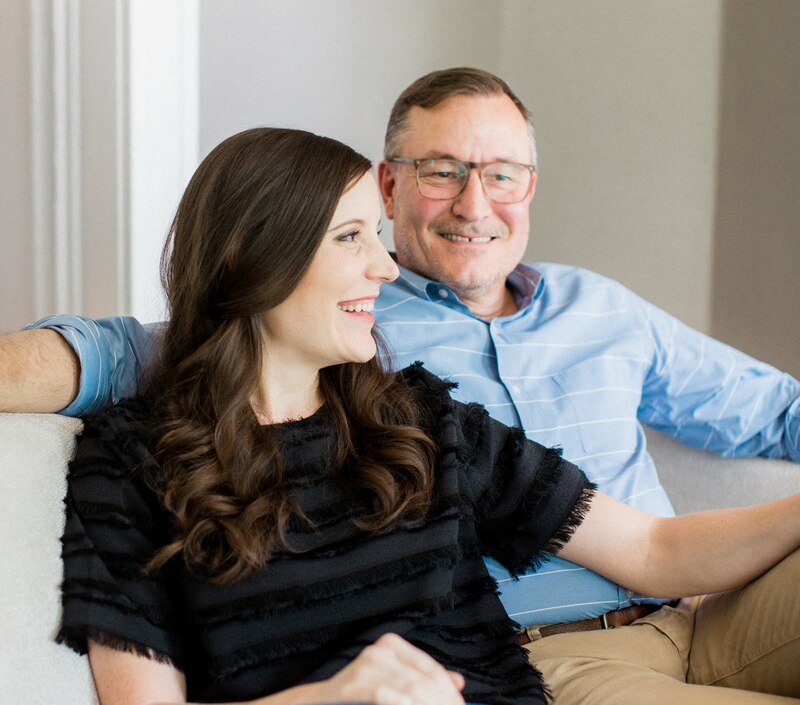 We're sharing the full step-by-step process in our latest project post over on eHow. 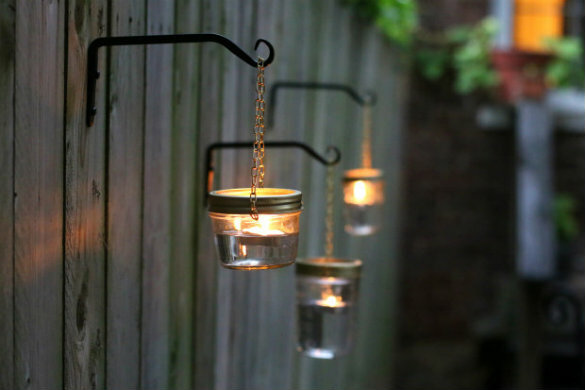 We loved the hanging mason jar concept so much from the DIY flower jars we lined down the aisle at our wedding, we reworked the same concept into these hanging lanterns to create a little outdoor evening glow. 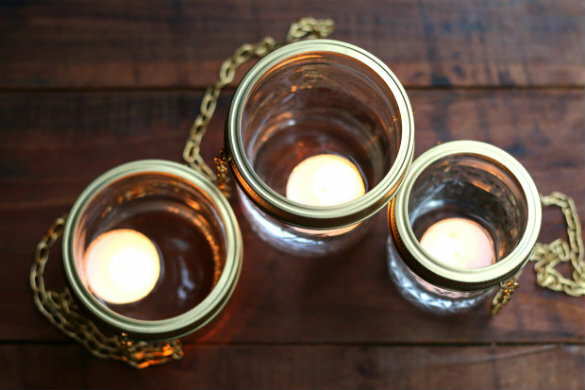 We're also loving how these jars' portability allows for moving and grouping into centerpiece clusters on a whim. 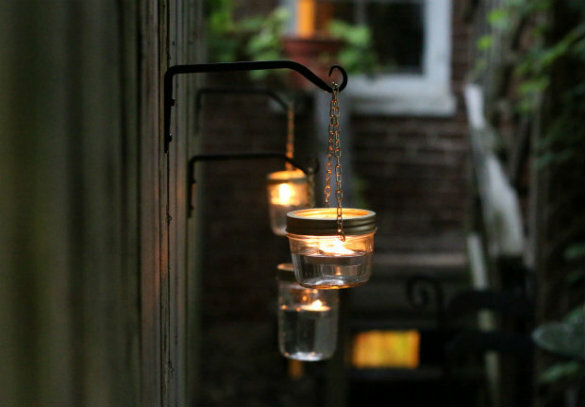 With the recent addition of our DIY terra cotta planter table and now these floating jar lights, our back patio space is looking more and more welcoming — making it our go-to place for summer dinners. 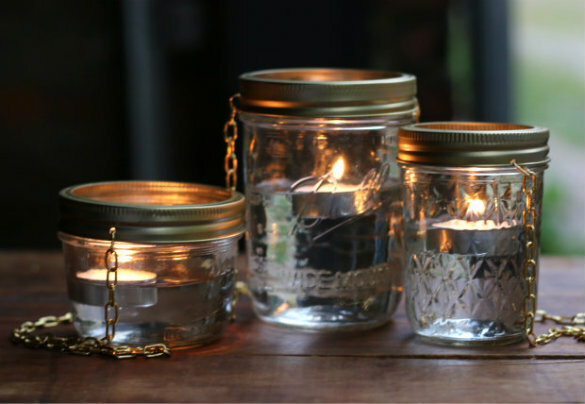 Learn how to make a set of your own right here, on eHow. I love the idea. I am always looking for ways to hang candles.